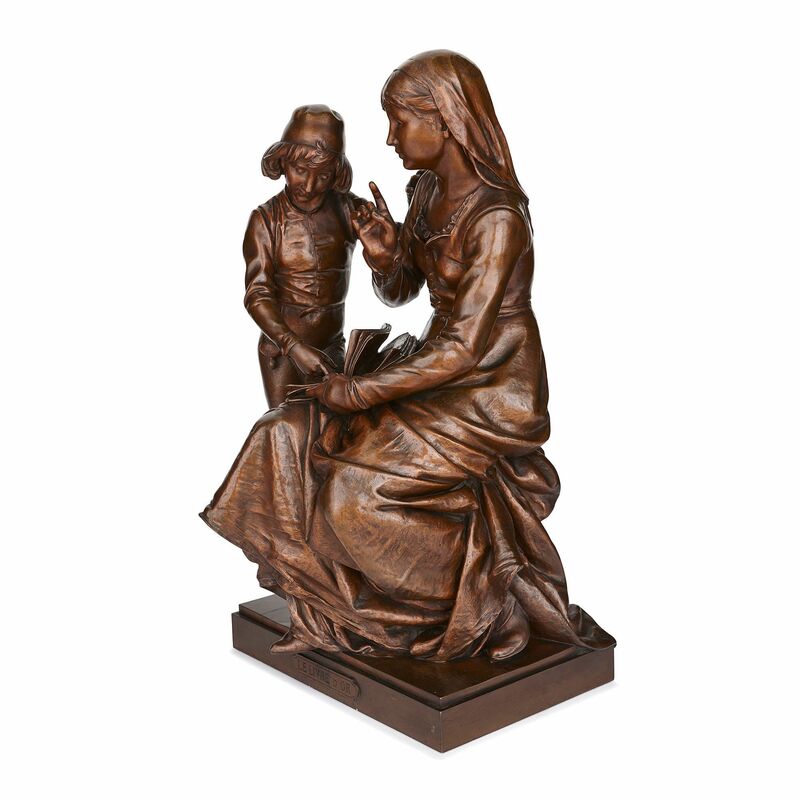 Entitled ‘Le Livre D’Or’ (The Golden Book), this sculpture by the acclaimed Vincent Desire Faure de Brousse, depicts a mother using a text to educate her son. 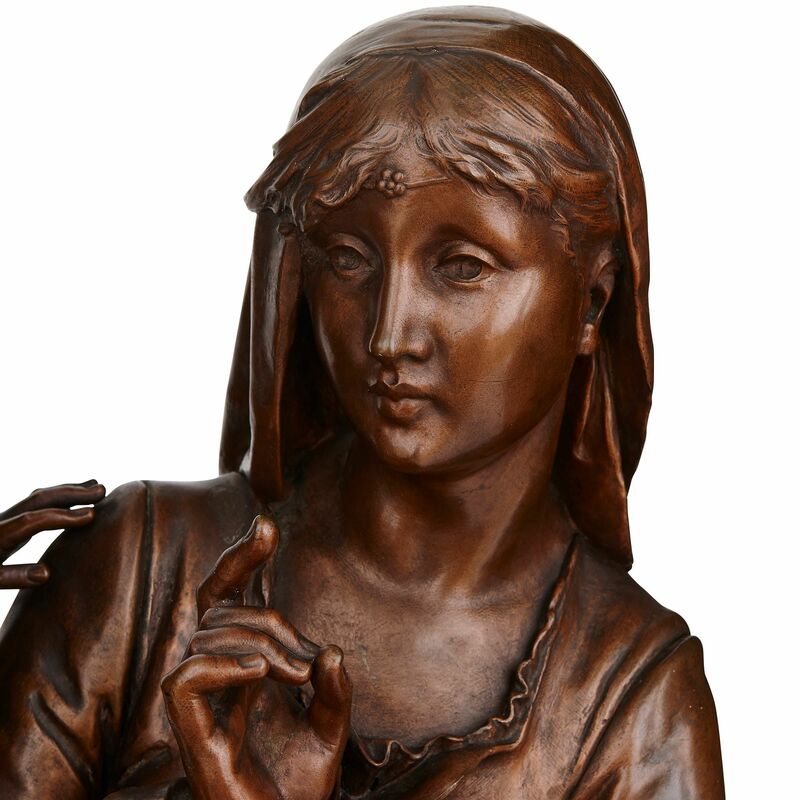 This bronze sculpture was crafted in c.1900 in the Florentine Renaissance style. It shows a young woman, sitting on a stool holding a book open on her lap with her left hand. Her right arm is raised, with her finger pointed, as though she is trying to convey a message to the boy who stands beside her. 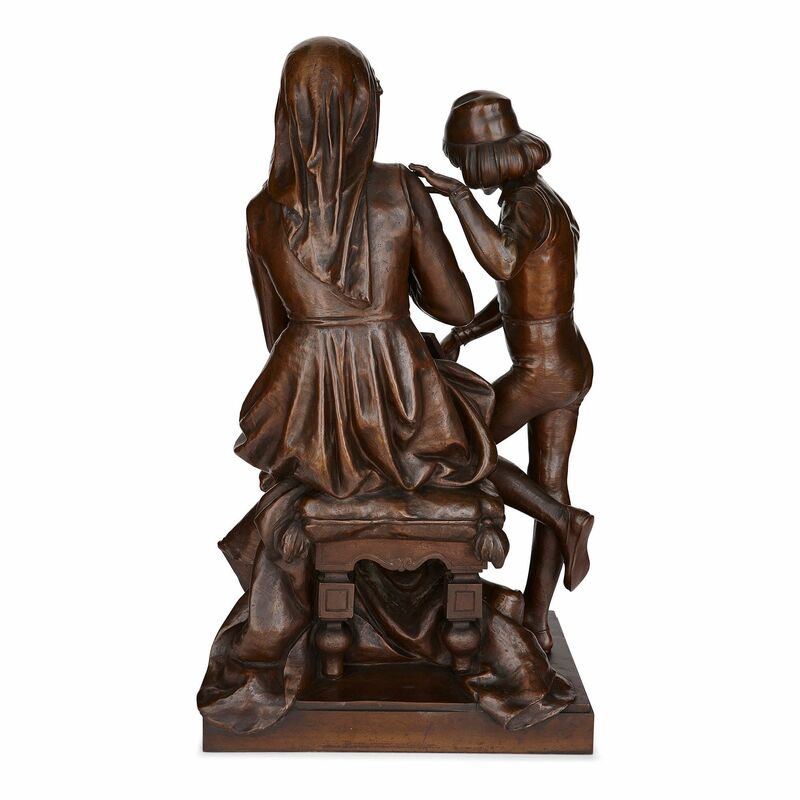 The young boy leans into the woman, propping himself up with his left knee on the stool. 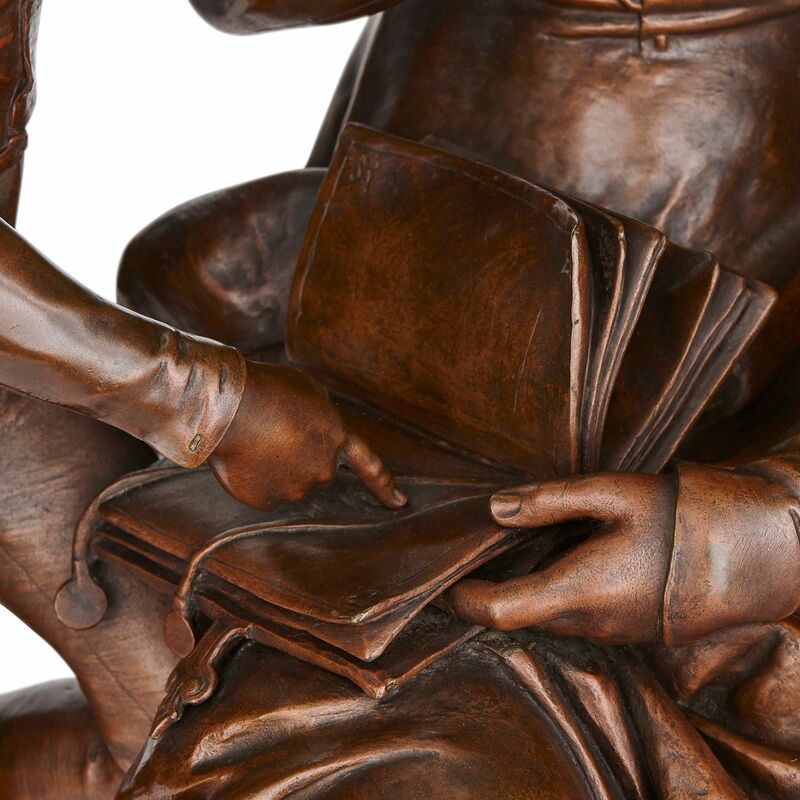 His left hand rests on the woman's right shoulder, and he points with his right hand to a passage in the text. 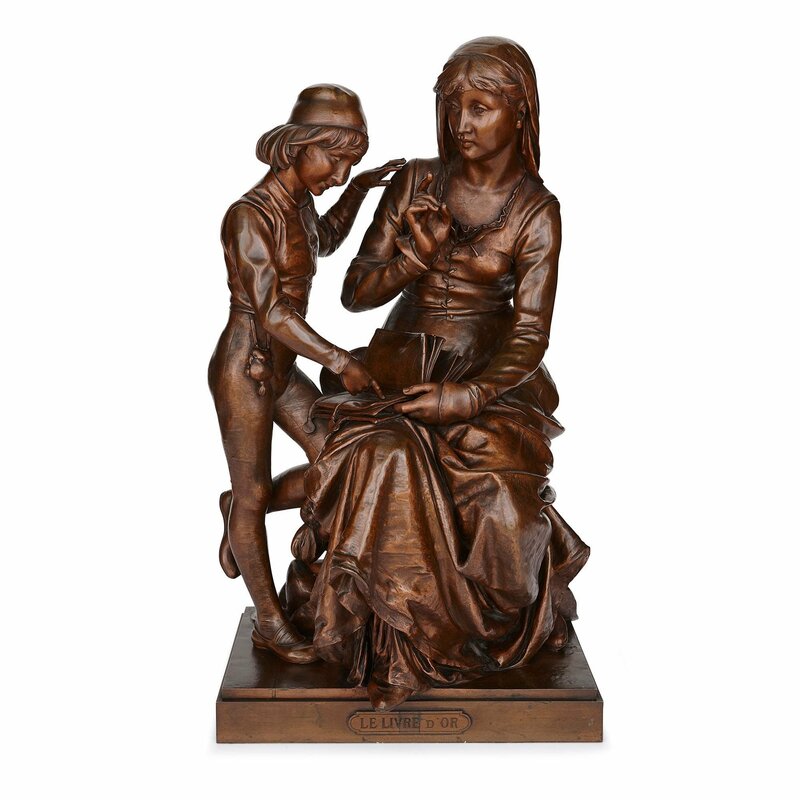 It is most likely the woman is the boy's mother, and is teaching him, using the text as a guide. The book is probably a religious text, such as the Bible. 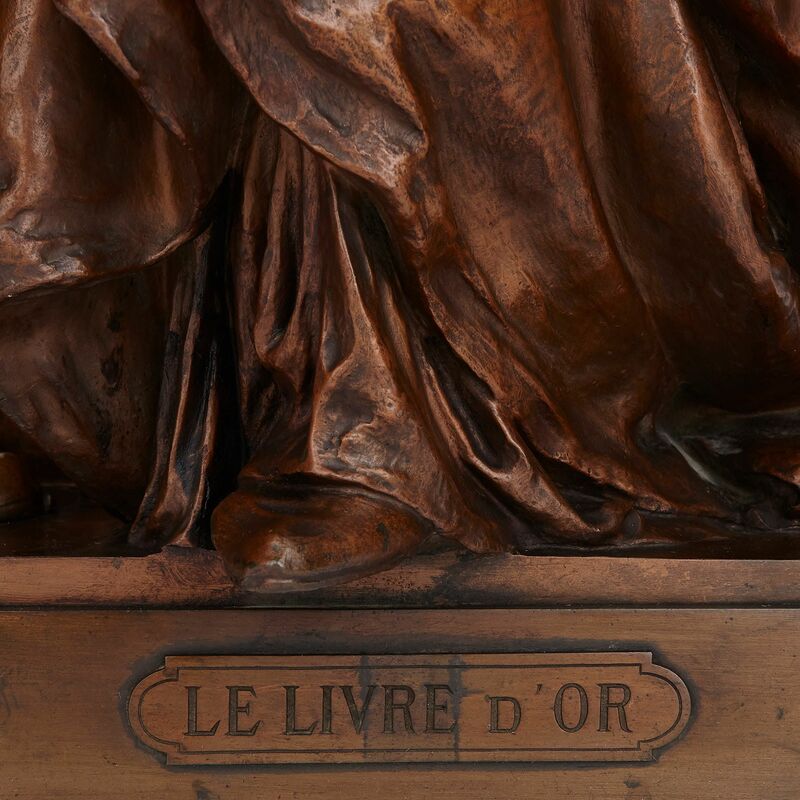 The sculpture is set on a rectangular base, which is set with a title plaque, reading 'Le Livre D'Or', and signed at the back 'Faure De Brousse'. 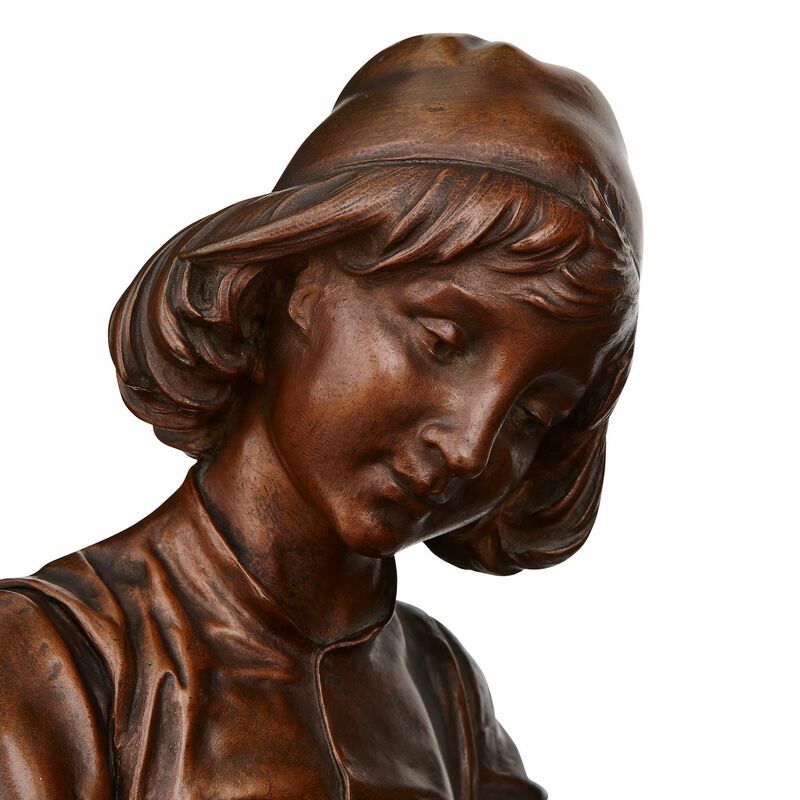 Vincent Desire Faure de Brousse was a highly-skilled sculptor who was active in France in the late 19th and early 20th Century. He began his career with an apprenticeship under Hugo Salmson, and went on to become a successful sculptor, exhibiting from 1876-1883 at the Paris Salon. 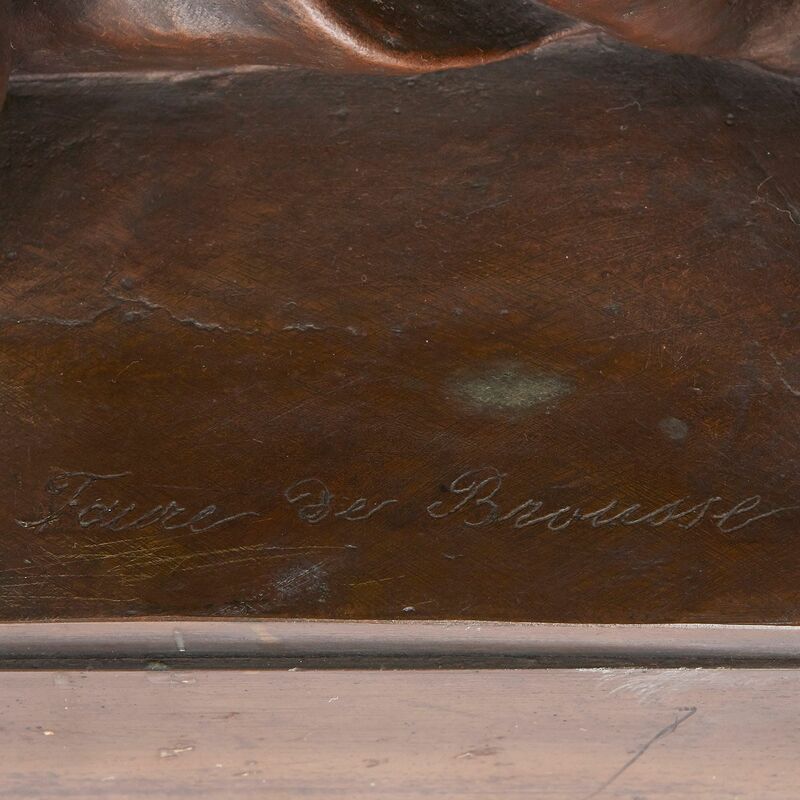 Faure de Brousse's sculptures tend to be in bronze and are often figurative in their subject-matter.